Keep your beautiful floors beautiful. The Oreck® Orbiter® Ultra makes it simple to sand, refinish, strip, scrub, wax, and polish all floor surfaces, as well as deep clean your carpets. Conventional floor scrubbers can be difficult to use. The Oreck Orbiter Ultra works differently; the brush head rotates in a random orbit for easy-to-use fingertip control. With several different cleaning pads available for purchase along with superior cleaning supplies, it’s versatile enough to tackle virtually any job, on any floor surface and gives you amazing, professional-looking results every time. 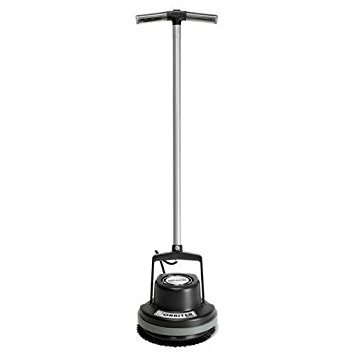 The Oreck Orbiter® Ultra Multi-Purpose Floor Machine deep cleans carpets & strips, sands and polishes bare floors.